Oculus Quest might not ever get the extensive creation mode found in its professional Rift art app, Quill, but it is getting a beautiful adventure made inside of it. Announced last week, The Last Oasis is a new VR experience from Goro Fujita, a Facebook Art Director responsible for countless incredible artworks made inside Quill. The piece is being designed specifically for Quest, which is Oculus’ first standalone VR headset to feature inside-out six degree of freedom (6DOF) tracking. The trailer above doesn’t tell you too much about the piece, save for some quick glimpses of it. It looks typically gorgeous, but we’re really interested in the different spaces Fujita is preparing and the traversal types used (at one point one player seems to be crawling through a vent to reach a new area). The Last Oasis will be on display at CTN from November 14th – 18th. There’s no word yet on how or when the experience will reach consumer Quests, which launch in spring of next year. The post One Of VR’s Best Artists Is Making An Oculus Quest Adventure In Quill appeared first on UploadVR. Sony’s Astro Bot Rescue Mission was, quite deservingly, the best-selling PSVR game on the PlayStation Store in October. The third-person platformer, which was developed by the company’s Japan Studio, topped the charts in both the US and EU for October. We don’t know the actual sales data for the game but that’s a good position to be in. What makes this all the more impressive is that Astro Bot wasn’t just sold via the PS Store; a physical copy hit retailers too along with a hardware bundle including a disc for the game, which these charts won’t account for. Elsewhere, another big PSVR release, September’s Creed: Rise to Glory, came in second in the EU charts and seventh in the US. Whilst the game also had a physical edition that may have slowed its digital progress, the US store also hosted an exhaustive PSVR sale to celebrate the headset’s second-anniversary last month. With this in mind, we’re not surprised to see regulars like Superhot VR and Job Simulator ranking so highly. Sadly we don’t see any sign of Archiact’s impressive first-person shooter, Evasion, on either list. The game hit PSVR in early October. November is another big month for Sony’s headset with games like Deracine and Tetris Effect already released. There’s also a little game called Beat Saber on the way which is bound to have some sort of effect on the next set of charts. The post Astro Bot Rescue Mission Tops October PSVR Charts appeared first on UploadVR. The Mage’s Tale Dev inXile Entertainment Acquired by Microsoft This could put in doubt future VR projects. inXile Entertainment, the developer of 2017’s excellent VR role-playing game (RPG), The Mage’s Tale, is joining Microsoft’s growing family of internal studios. The news broke this weekend an Xbox fan event where Microsoft also confirmed it was acquiring Fallout: New Vegas developer Obsidian. In a video announcing the news, inXile noted that the acquisition would allow the studio to continue developing the games it’s known for but at a higher level. Formed by games industry legend, Brian Fargo, inXile is best known for its deep RPGs, including Wasteland 2 and Torment: Tides of Numenera. It brought its signature style to VR last year with The Mage’s Tale, which let you cast spells and do battle with evil creatures initially on the Oculus Rift and then later on the HTC Vive. Shortly after the game’s initial release last year, though, we reported that inXile had raised $4.5 million in funding and was working on a new “open world survival RPG” for VR. Not only that, but the studio previously confirmed that it was bringing The Mage’s Tale to PSVR too. However, in tweets following the news, the studio noted that work on projects outside of Wasteland 3 and Bards Tale 4 were now ‘to be determined’. We’ll be keeping our backer commitments for #BardsTale4 and #Wasteland3. Beyond that is TBD. It’s early days yet. We’ve reached out to inXile to find out if the PSVR port of Mage’s Tale and this open-world survival game, which a recent report suggests would be a Wasteland spin-off, are still on the way. It’s worth noting that Microsoft itself has had a somewhat shaky history with VR, apparently pulling out of plans to release a headset for its Xbox One X console in recent years, though it could be that the next console supports such a device. That said, Microsoft also acquired UK-based developer Ninja Theory earlier this year, and the studio released the excellent Hellblade: Senua’s Sacrifice VR after that announcement. There’s still hope for inXile’s continued work in VR, then. The post Microsoft Buys Mage’s Tale Dev inXile, New VR RPG Status ‘TBD’ appeared first on UploadVR. Oculus parent company Facebook denied renewed claims that Rift inventor Palmer Luckey was fired for his political views. In September 2016 a story emerged in which the 26-year-old apparently claimed to have donated $10,000 to a political smear campaign against the 2016 Democratic presidential candidate, Hillary Clinton, and supporting the now-president Donald Trump. In a Facebook post following the story Luckey apologized for the impact of his actions but stated that he would be voting for Gary Johnson in the election. Then, in March of 2017, Facebook announced Luckey had parted ways with the company. Last month, he told CNBC that it was not his decision to leave. The report goes on to claim that Luckey was then put on a paid leave of absence from his role at Oculus and was later fired instead of being reinstated as hoped. Luckey now runs a military tech company named Anduril, though still regularly contributes his thoughts on the VR industry online. Earlier this month he wrote a lengthy blog post explaining why he doesn’t think current or upcoming headsets are good enough to go truly mainstream. 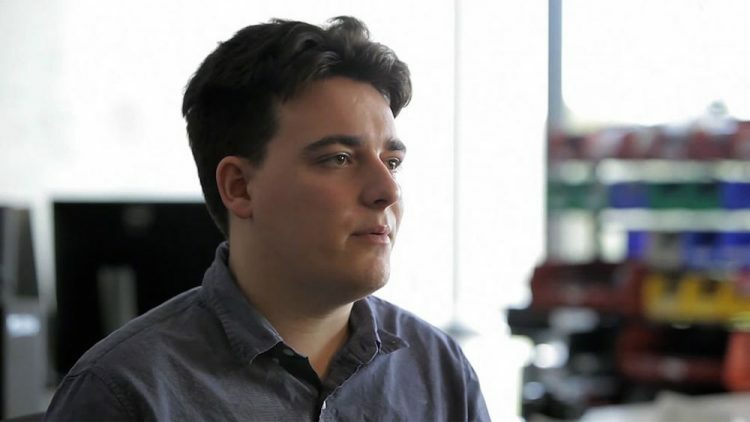 The post Facebook Denies Firing Palmer Luckey Over Political Views appeared first on UploadVR. The post Disney Researchers Introduce ‘MotionStick’ AR Puppeteering appeared first on VRScout. Jaunt is in talks to sell its cinematic virtual reality business to other companies, VentureBeat has learned. One of the bidders is Spinview Global, the virtual reality business-to-business content management platform, according to a source familiar with the matter. Jaunt recently said it would end its VR efforts and focus exclusively on augmented reality and extended reality (XR) technologies. A spokesman for San Mateo, California, confirmed that Jaunt is in talks with multiple parties to sell the VR business. Jaunt still has a big VR film studio in Santa Monica, California, where it puts to use its expertise in telling stories in XR. In the past, it has launched more than 350 productions, including numerous virtual reality films. Jaunt has invested heavily in its camera hardware and VR player. Spinview hopes to bolster its own VR offering as it moves into 2019. It also just purchased Agority, a VR communications app. Spinview is based in London and Stockholm. This post by Dean Takahashi originally appeared on VentureBeat. The post Jaunt In Talks To Sell VR Business appeared first on UploadVR. Ready at Dawn released a 6DoF trailer for the sequel to their hit high budget VR game Lone Echo. The trailer is downloaded from the Oculus Rift store and is rendered in real-time using the game’s engine, instead of being a simple 360° video. The experience is a roughly 1.6GB download which takes up just under 2GB of space once installed. It takes place aboard the Kronos II mining station from the original game, featuring a monologue from Captain Rhodes and lasts for just under 6 minutes. Lone Echo II was announced at Oculus Connect 5 in late September. As well as the 2D trailer (above), Ready At Dawn released a 360° video trailer for Oculus Go and Samsung Gear VR. 360° video content is popular on 3DoF platforms like these, but does not work as well on Rift where the user is accustomed to moving their head around in VR scenes. This true 6DoF trailer is a tailored solution for Rift users. We loved the original Lone Echo, giving it 8.5/10 in our review, stating that it was a “landmark achievement” in locomotion, UI, and interaction, and that the character-driven storytelling creates “a compelling sense of presence that few VR games could hope to match”. Our biggest complaint was that it simply felt incomplete, making us hungry for a full-fledged sequel. Not much is known about Lone Echo II yet, but if it’s anything like the original, it’s sure to be a title to look out for. We’ll keep you updated on any further news about the game. The post Ready at Dawn Releases 6DoF Lone Echo II Trailer for Rift appeared first on UploadVR. The post You Are Here Labs Launches First Holographic Press Release appeared first on VRScout. Images of a prototype VR headset with a Valve logo visible on the circuit board leaked on the image sharing website imgur. Our independent sources tell us these are in fact prototypes for an upcoming Valve HMD. We’ve also heard the field of view will be 135° with “Vive Pro resolution” and that it may come bundled with ‘Knuckles’ controllers as well as a Half-Life based VR game that could be a prequel rather than the much-anticipated Half-Life 3. Valve currently does not sell a VR headset. Instead, the company partnered with HTC to release the Vive in 2016, and then HTC released the higher end ‘Vive Pro’ earlier this year. Releasing its own headset would be a major shift in Valve’s strategy for VR, but the company previously shipped the Steam Controller and Steam Link devices — so it wouldn’t be unheard of for the privately held company to build and ship its own hardware. The leaked Valve headset features what appear to be SteamVR tracking photodiodes under the plastic (similar to how Oculus hides IR LEDs under the Rift). It also has 2 cameras visible and integrated headphones. The padding on the back appears to be similar to the padding on Valve’s Knuckles controllers prototypes. Looks like a Leap Motion sensor could fit on the front faceplate of this Valve HMD prototype. A 135° field of view with Vive Pro resolution panels should result in roughly the same angular resolution as the current HTC Vive. This may indicate that Valve is betting that increasing field of view is a greater priority than increasing angular resolution. We don’t see any indication these headsets could include eye-tracking, so Valve will have to use methods other than foveated rendering — likely software-based — if the company plans for this headset to work on the same class of PCs as the original Vive. If this headset comes to market next year, it could be direct competition for the “Rift S” headset Techcrunch reported Oculus is planning. The clock on the monitor in the image suggests these photos are from July, meaning there has likely been progress made since these prototypes. We’ll keep you updated on any further news of Valve’s VR headset. We also reached out to Valve to see if Gabe Newell might be available to comment on Valve’s direction with PC VR, or if we might be able to test the Knuckles controllers so that we can help communicate with developers and early adopters what the new controllers add to VR input. Previous coverage of the image leak here. The post Sources: Valve Planning 135° VR Headset Bundled With ‘Knuckles’ Controllers And Half-Life VR appeared first on UploadVR. Remember how cool that first trailer for Pokémon Go looked? So does John Hanke. The Niantic chief executive officer was onstage with Epic Games chief executive officer Tim Sweeney for a fireside chat during Samsung Developer Conference 2018 today. Hanke discussed the future of Niantic’s hit mobile game, which is to capture some of the ideas portrayed in its original trailer. Pokémon Go became a sensation when it launched in 2016, drawing millions of players (and even getting mainstream news headlines) with its real-world augmented reality gameplay. Things cooled down a bit, but player numbers were at their highest this summer since that initial boon. The game’s first trailer debuted in 2015. It showed a deeper immersion of augmented reality than Go currently has. It also showed a large group of players gathering in Time Square to fight the legendary Pokémon Mewtwo together. Hanke noted that Niantic wants to take advantage of improved technology, including deep learning, 5G networks, and better hardware to make Pokémon Go more like that first trailer, which you can watch below. Hanke also expressed Niantic’s desire to make Pokémon Go something that is always a part of your life and not just something you play for a bit here and there. The company started this initiative this year when with the Adventure Sync feature. This has Pokémon Go synchronize with health apps that count your real life steps. In turn, this translates into progress in the game, helping you hatch Pokémon eggs faster. Niantic’s upcoming Harry Potter AR game, Wizards Unite, did come up during the fireside chat. Hanke only said that the company is excited about the project. This post by Mike Minotti originally appeared on VentureBeat. The post John Hanke: Niantic Wants Pokémon Go To Look More Like Its First Trailer appeared first on UploadVR. FitXR has raised $1.25 million in funding to encourage people to get exercisethrough virtual reality fitness games such as Box VR. Earlier this year, FitXR launched its gamified fitness app, BoxVR, and attracted 50,000 paying users with no marketing or promotional support. To date, BoxVR said its customers’ workouts average 27 minutes per session — and collectively, BoxVR users have already burned more than 60 million calories. It’s part of a growing trend in VR, where excellent games such as Beat Saber are getting gamers off the couch and making them more fit. The seed funding comes from venture firms Boost VC, Maveron, and TenOneTen, as well as private sources. Individual investors John Vechey (cofounder, PopCap Games, Pluto VR) and Eytan Elbaz (cofounder, Applied Semantics and Social Native), and Harri Marrinen (cofounder, Rocket Pack) also contributed to the funding round. Above: BoxVR takes you a nice gym for your workout. The company, which had previously received a small pre-seed funding round, plans to use the new investment to expand its operations both in Europe and North America, and accelerate development of several upcoming products and services. FitXR has about 14 full-time and part-time employees. BoxVR costs $20 on Oculus and Steam. While VR investments have fallen off since 2017, Baroova said some categories are thriving as people realize the value of VR. Baroova said he is very excited about new headsets such as Oculus Quest, which debuts next spring as a wireless, standalone VR headset with good hand controls. The post FitXR Raises $1.25 Million To Encourage Fitness With VR Boxing appeared first on UploadVR. Images of a prototype VR headset with a Valve logo visible on the circuit board have leaked on the image sharing website imgur. The images are unverified, but the detail and number of headsets shown make it likely to be authentic. Valve currently does not sell a VR headset. Instead, the company has partnered with HTC to release the Vive in 2016, and then the higher end ‘Vive Pro’ earlier this year. The leaked headset features what appear to be SteamVR tracking photodiodes under the plastic (similar to how Oculus hides IR LEDs under the Rift). It also has 2 cameras visible and integrated headphones. The padding on the back is visually similar to the padding on Valve’s “Knuckles” controllers prototypes. The lenses appear to be larger than those of the HTC Vive, which likely indicates a larger field of view. Given that a larger field of view means lower angular resolution, this headset may have a higher resolution display too. It’s important to note that we have no context for what this heasdset is. It could be an internal prototyping testbed, or a reference design for manufacturers (like HTC) to follow for future headsets. But the more tantalizing possibility, that we know you’re already thinking, is that this could be a prototype for a future headset from Valve itself. If so, the company could be planning to release it alongside its “Knuckles” controllers next year – which could be direct competition for the “Rift S” headset that Techcrunch reported Oculus is planning. According to our independent sources this is in fact a Valve HMD. We’ve also heard the field of view will be 135 degrees with the Vive Pro resolution and it should come bundled with Knuckles controllers as well as a Half-Life based VR game. The clock on the monitor in the main image suggests that these photos are from July. Whatever this is, it’s likely much further along today than it was back then. We’ll keep you updated on any further hints of a VR headset from Valve. The post Images of Prototype Valve VR Headset Leak appeared first on UploadVR. I planted my feet shoulder width apart in the virtual sand of Blade and Sorcery that was actually my home office’s carpet, gripping my Oculus Touch controllers tightly. A shirtless arena opponent was running at me full speed with the burning hatred of a thousand suns in his eyes, reaching back with a longsword to try and cut my head off. He swings, I reach up with my shield and block it, stabbing over the top into his shoulder. Breaking his skin I see a plume of bright red blood squirt out as he screams and my sword gets stuck. I kick the man in his legs to create separation, reach down to my side holster to grab my dagger, and throw it hard, drilling the tip of the blade deep into his head. He drops his sword and falls to the ground dead. One down, about nine more to go this round. Blade and Sorcery is full of moments like this. If you’ve ever played any melee-combat heavy games in VR before, such as Skyrim VR, Vanishing Realms, Stolen Steel VR, GORN, Deus Vult, or others, then you know that they’ve all got some major issues. For starters, collision, haptics, and physics are often all over the place. When you swing your weapon it often just passes right through enemy models without any resistance or collision, which not only makes it hard to tell if you’re hitting anything, but it just doesn’t feel as satisfying. In Blade and Sorcery that’s all changed. Everything is a physics-based object with mass and momentum. This means if I just barely tap an enemy with my sword it won’t do anything, but if I thrust forward hard I can actually stab them through their skin and it can get stuck unless I yank it out. Damage is all context specific as well, so stabbing them through the head will kill them while a dagger to the shin may just slow them down a bit. Blunt force attacks, like shield bashes and kicks also have a lot of force but no real lethal consequences. These are the kinds of things that often get taken for granted in non-VR games, but feel so much more immersive and profound when seen first-hand in a VR experience. Accurately raising my sword to block attacks and parry weapons, leaping over an enemy’s head, slowing down time, and forcibly fighting with real tactics is incredibly freeing. Bethesda should really study some of the stuff that Warpfrog is doing with Blade and Sorcery for its combat system. The major drawback here is that it’s not really a “game” at all, but rather just a sandbox combat simulator. You can trigger a few weaves of enemies to come at you in one of two arenas and use an assortment of weapons to fight back. That’s about it. But the combat itself is so satisfying and so intense that it’s tough not to just keep coming back for more. The post Hands-On With Blade and Sorcery’s Brutally Realistic VR Combat System appeared first on UploadVR.